Shiseido “On The Road With Irie And Julian” In one spot, we are on the trail of Jenny Choi, a stylist from Vancouver as she – in scenes somewhat reminiscent of Scarlett Johansson in “Lost in Translation” – walks alone through the streets of Tokyo. 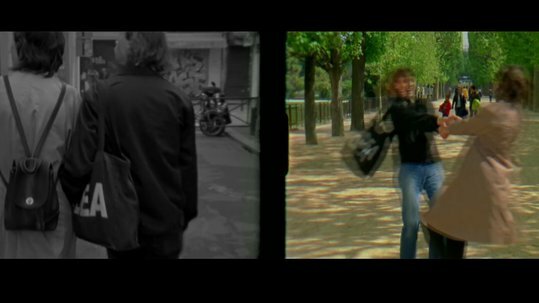 In the second, we enjoy a day in Paris through the eyes of filmmaker Julian Klincewicz and his girlfriend. Always with them: Shiseido. Pay-off: All things beautiful come from nature.